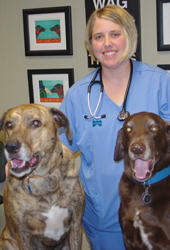 The Jefferson Animal Hospital team of skilled veterinarians welcomes you to our practice. Proudly serving the Baton Rouge area. At Jefferson Animal Hospital, it is our daily privilege to provide quality vet care to your cherished pet, with compassion and competence. We hope to ensure a positive impact on our patients, pet owners and the local community. Dr. Stephanie Thomas grew up in Baton Rouge, Louisiana, and was the salutatorian of the second graduating class from Christian Life Academy. She began her college career at Louisiana State University but took a hiatus before graduating to raise her children. After establishing her children with a good foundation she returned to LSU to become a member of the LSU School of Veterinary Medicine Class of 2013. As a non-traditional student people would hear her classmates often refer to her affectionately as “Mama Steph” around campus. This was especially true in the equine hospital, where she spent much of her time. Dr. Thomas has always had a love of animals but was drawn to veterinary medicine after volunteering with the LSU SVM faculty and students for the equine rescue effort at Lamar Dixon following Hurricane Katrina. 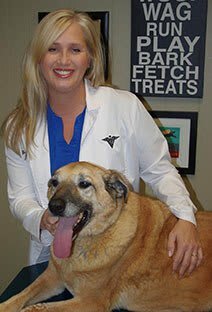 Dr. Thomas prefers the clinical side of practice where she is able to work with her clients on a daily basis to ensure an optimum quality of life for their furry family members. Dr. Thomas is a member of the American Veterinary Medical Association, Louisiana Veterinary Medical Association, and Baton Rouge Veterinary Medical Association. Dr. Thomas currently resides in Denham Springs with her husband, Derrel, in a house that seems to grow quieter by the year with only one of her five children still living at home. Now home has become a farm and is filled with animals including but not limited to eight chickens, four goats, three birds, two cats, one horse, one miniature donkey and one dog,lacking only the proverbial partridge in a pear tree. In her extremely limited spare time, Dr. Stephanie enjoys motorcycle riding, horseback riding, and scuba diving. She also enjoys traveling and has combined that with her other hobbies at various destinations including England, France, Australia, Isla Roatan, Philippines, Mexico, and New Zealand. Dr. Stephanie’s favorite pastime by far is spending time with her only granddaughter, Casey Ann, who knows Dr. Stephanie as "Emme" and Derrel as "Grumps." Dr. Lindsey McWhorter was born and raised in Oklahoma and was the salutatorian from the 2001 class at Yukon High School. She received her Bachelor of Science in Nursing from the University of Central Oklahoma. In 2006, she moved to Louisiana and started her nursing career at Terrebonne General Medical Center in Houma, working in the nursery and Neonatal Intensive Care Unit. After a few years, Dr. McWhorter was ready to take the next step in her career, which took her out of the field of human medicine and into veterinary medicine. In 2014, she graduated from Louisiana State University School of Veterinary Medicine with a passion for companion animal medicine. She is a member of the American Veterinary Medical Association. Dr. McWhorter has a strong interest in dermatology, but also enjoys general practice because she gets to do a little bit of everything. She loves using her knowledge as a veterinarian and her experience as a registered nurse to help clients give their pets the best life possible. Dr. McWhorter currently lives in Denham Springs with her husband, David, who is a Louisiana native. They met in college at the University of Central Oklahoma and were married in 2006. Since then, they have acquired quite the menagerie of animals including 8 dogs, 1 cat, 5 snakes, a tarantula, and the occasional foster dog. Dr. McWhorter’s hobbies include reading, hiking, and listening to showtunes. Most of her spare time is spent in the company of family and friends, which includes going home to Oklahoma to visit her parents and sister as much as possible. She also travels to Boston annually to visit her best friend. When time permits, she and David like to travel and most recently spent some time driving down the Pacific Coast in Washington and Oregon. Their dream travel destination is Scotland and hope to make it there for their fifteenth wedding anniversary in a few years. Hannah Sibley is a Walker, Louisiana native who has always had a sincere passion for animals. 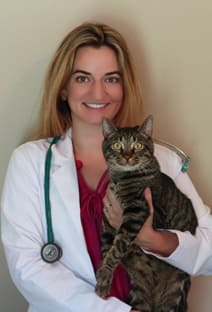 Through her schooling at Louisiana State University receiving her Bachelor’s of Science and Doctorate of Veterinary Medicine degrees, that passion has grown into a career driven by her desire to help animals and their care takers. Dr. Sibley takes great pride in the relationships she makes with her patients as well as the long term friendships she makes with their care takers along the way. She truly enjoys preventative medicine, surgery, and geriatric patient care. After working 4 years in Las Vegas, Nevada she has returned home to be close to family and friends and share her devotion to quality and passionate veterinary care in her home state. Dr. Kim Bonaventure grew up in Lake Charles, Louisiana. 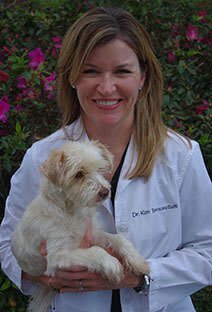 She completed her undergraduate studies at LSU in 1996, received her Doctor of Veterinary Medicine degree from LSU SVM in 2001, and her Certification in Veterinary Acupuncture from the Chi Institute in Reddick, Florida in 2015. Dr. Bonaventure is currently enrolled at the Chi Institute in the Chinese Herbal Therapy program. Dr. Bonaventure is a member of the American Veterinary Medical Association, the Baton Rouge Area Veterinary Medical Association, and the American Association of Traditional Chinese Veterinary Medicine. Dr. Bonaventure and her husband David reside in New Roads with their 3 children Andrew, Kate, and Emily, and their yellow lab Girlfriend, their cat Pearl, and guinea pig Sarah Bacon. Both Dr. Bonaventure and her husband are actively involved in their children's many extracurricular activities. She is a coach for Girls on the Run, Girl Scout Leader for both of the girls' troops, and is Advancement Coordinator for her son's Boy Scout patrol. Her husband is involved as a coach for the numerous sports teams. They are members of St Mary of False River Catholic Church. Dr Bonaventure has many small hobbies, but mostly enjoys spending time with family and friends, running, and YOLO boarding. Dr. Larry grew up in the rural community of Central located on the outskirts of Baton Rouge. He attended LSU on a Football Scholarship where he received two varsity letters. He completed his undergraduate degree from LSU and commissioned a 2nd Lt.in the USAF thru ROTC in January 1970. He became a USAF Fighter Pilot serving on active duty until August of 1977, in which he then entered the LSU School Veterinary Medicine. 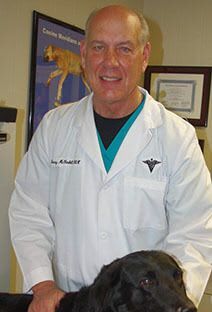 He graduated from veterinary school in May of 1981 and opened McCaskill Veterinary Hospital, a mixed animal practice, in New Roads, LA, in August 1981. While in veterinary school he joined the USAF Reserves continuing his flying career on a part-time basis. In September of 1991, became a United Airlines Pilot, while still maintaining his veterinary practice. He retired from the USAFR in December 1994 and United Airlines in December 2007. Dr. Larry maintained dual careers as a practicing veterinarian and pilot for 29 years. His interest in and study of Integrative/ Traditional Chinese Veterinary (TCVM) began at the Chi Institute of Traditional Chinese Medicine, Reddick FL, in July of 2008. He became a CVA in March 2009. To continue his training in TCVM, he completed an International Course on Veterinary Acupuncture at the Nanjing Shihuang Institute of Animal Science and Technology, Nanjing, China in May 2009. Dr. Larry opened the Jefferson Animal Hospital Integrative/ TCVM Small Animal Referral Practice l in the summer of 2009.He is now also a CVCH and has completed his training in Food Therapy. He loves to promote TCVM and mentor students learning veterinary acupuncture. He has given TCVM presentations locally and internationally. He is an Internationally Chi Institute Instructor, teaching acupuncture to international students at the College of Veterinary Medicine South China Agricultural University Guang-zhou, China. Dr.Larry resides in Oscar, LA, on False River with his wife, Lu and their Yellow Lab Cakki. They have two children Matt and Megan and five grandchildren. They are active members of St Mary’s Catholic Church, New Roads, LA. His favorite hobbies are working out, dove and duck hunting with his dog Cakki.